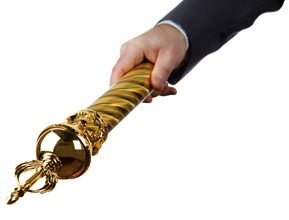 The Golden Sceptre is a unique time-saving service designed to enable Australian Christians to make much more regular contact with their Members of Parliament, encouraging them to legislate more in-line with Biblical principles. The Golden Sceptre’s service is unique because we identify for you the most pressing issues in your area at the State and Federal level and then we draft two emails a month for you to send (that’s 24 emails every year!). You can change the text of your email if you want, and then with the click of one button they’re sent from your email address to all your relevant Members of Parliament at once. As well as keeping you up to date with the important political issues, it’s a serious time-saver and allows most people to send far more emails than would otherwise be the case. It’s a convenient and articulate way to express your Christian opinions and make a difference, without having to spend hours in research and writing. Dr Mark Harwood, Scientist and Speaker, Creation Ministries International.